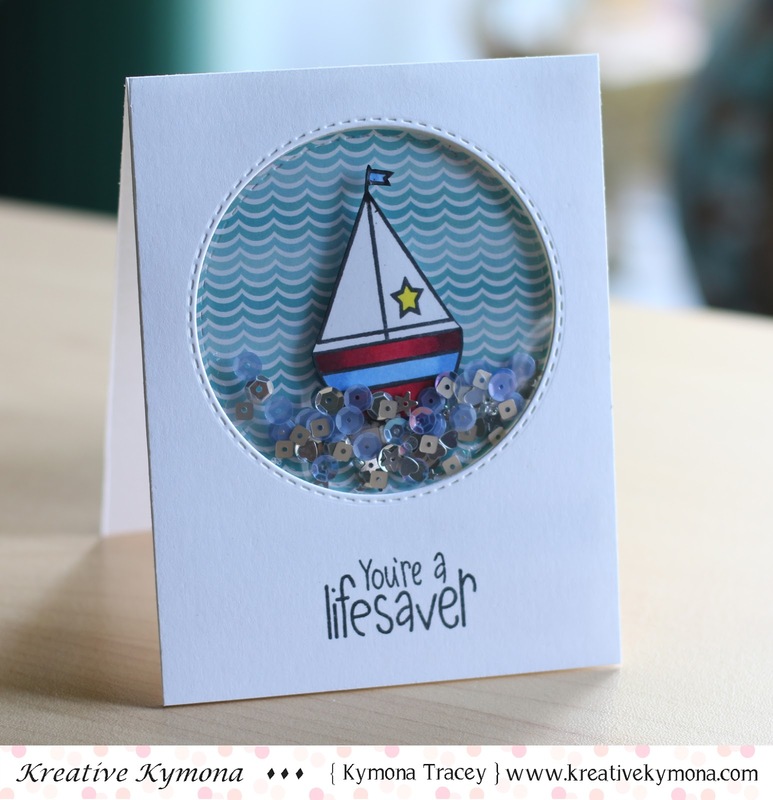 First up, Kymona has a sweet card to share using Kid n' Caboodle! Super amazing, right??? What a COOL shaker card!!!!! Next, Martha has two fantastic creations! 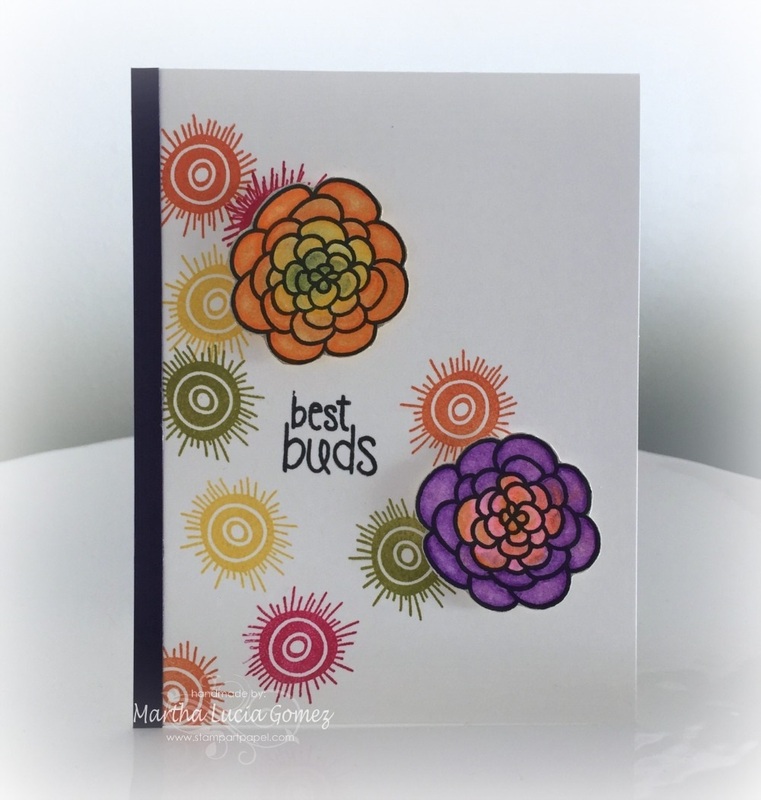 She used Petal Pushers for her first vibrant card - love this!!! 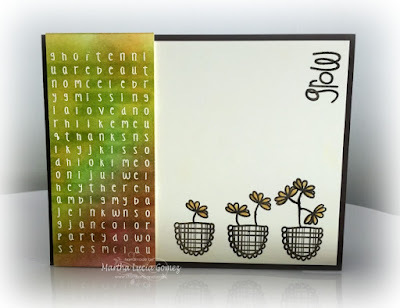 She used Petal Pushers again for this one and paired it with Phraseology! 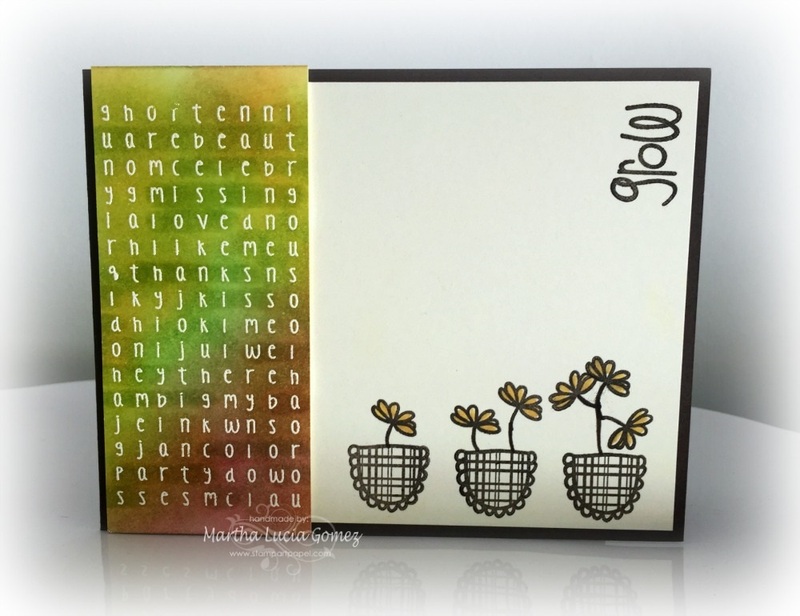 Wow - that gradient she created is stunning! Our two guests will be back later this month with more eye candy, so pop on back!!!! Yay for Kymona and Martha! Awesome inspiration ladies! Congrats, Kymona and Martha! Love your samples!! Welcome ladies! I love, love, love your pretty cards! Thank you Amy my dear lover coffee girl, Amy Rohl and Celeste Goff. For me was a real pleasure made this cards and share with you. Hugs dear ladies!! !